Modified shipping containers provide a high-security, professional, portable sales office that can be used to meet with potential home buyers or renters. Constructed of 16-gauge corten steel and fitted with sturdy, steel personnel doors, Falcon Structures' shipping container sales offices keep employees and valuables safe and secure. Shipping container offices provide an ideal space for meeting with potential clients. 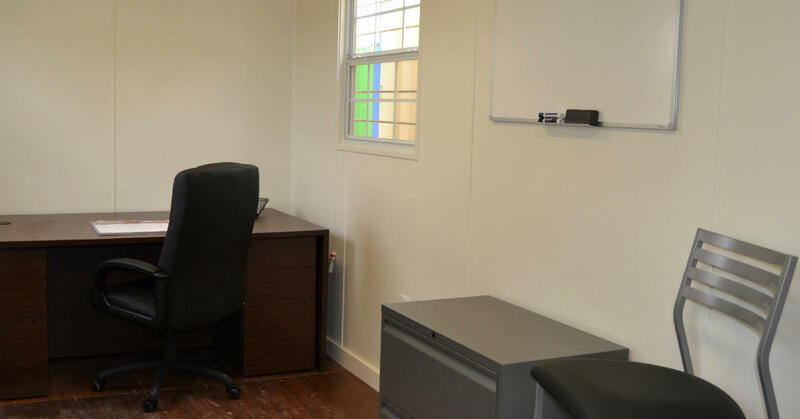 Our modular office buildings can be customized with a wide variety of features and configurations. Impress clients with professional finishes and comfort features. Available in 20-foot and 40-foot configurations, our portable real estate sales centers feature professional interior finishes, climate control, electricity, and lighting. Optional features include storage space, restrooms, kitchenettes, conference rooms, and more. Save time and money with a turnkey shipping container real estate sales office. Skip the hassle of construction and site prep. 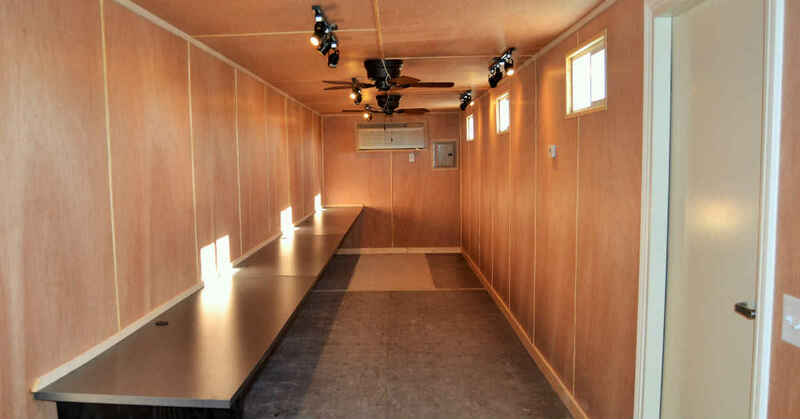 Designed to be turnkey, shipping container mobile sales offices set up easily at ground level. No special skirting, foundation, steps, ramps, or tie-downs are required. 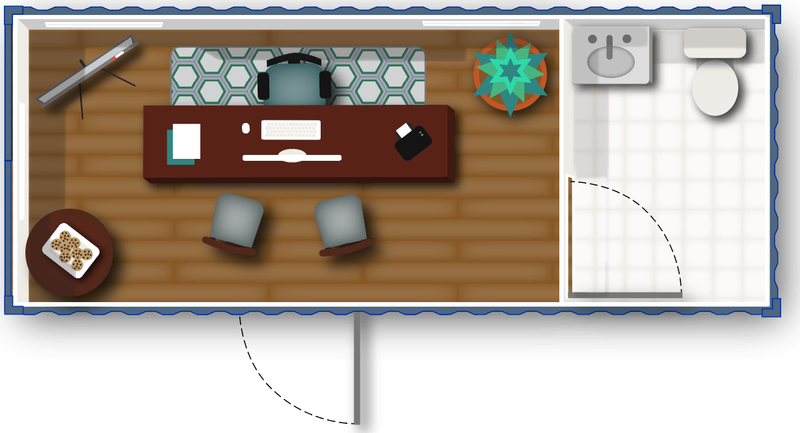 Simply connect to power and sewer, and your portable sales office is up and running. We can customize the exterior of the container with paint, signage, and other design elements to fully align with your brand. When you’re ready to move to a new development, simply take your portable real estate sales center with you. Inherently mobile, shipping containers can be easily relocated as needed.